“When America sends its people, they’re not sending their best…Stop me if you’ve heard this before,” Senator Enrique LaRaza said in his speech prior to the approval vote. Anthropology researcher Juanita Carmelita Gonzalez and her dog Ari — Juanita is the one in the turquoise stretch pants — walked the streets of Hollywood Monday. You won’t believe what happened next! Let’s face it, hermanas. Dudes yelling rude remarks when you’re walking to work is the last thing you need. What’s the first thing you need? New CockBlok® immediately moves those asshats into the Friend Zone. (PNS reporting from MIAMI) Frequent catcaller Ruben Torres was stunned Monday evening when a woman he was ogling and taunting at an area dive bar flipped him the bird and berated him in front of his friends. Clarissa Cortés told PNS she was “just not having it,” after a 10-hour day balancing the books at Ponce de Leon Wholesale Rejuvenation Supplies and then fighting the traffic on the Palmetto Expressway. 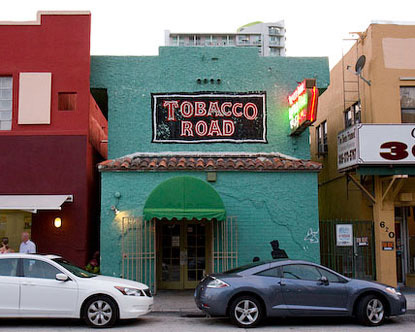 She just wanted to leave Tobacco Road on South Miami Avenue and go home to Brickell. Torres’ catcall was the last straw, she said.